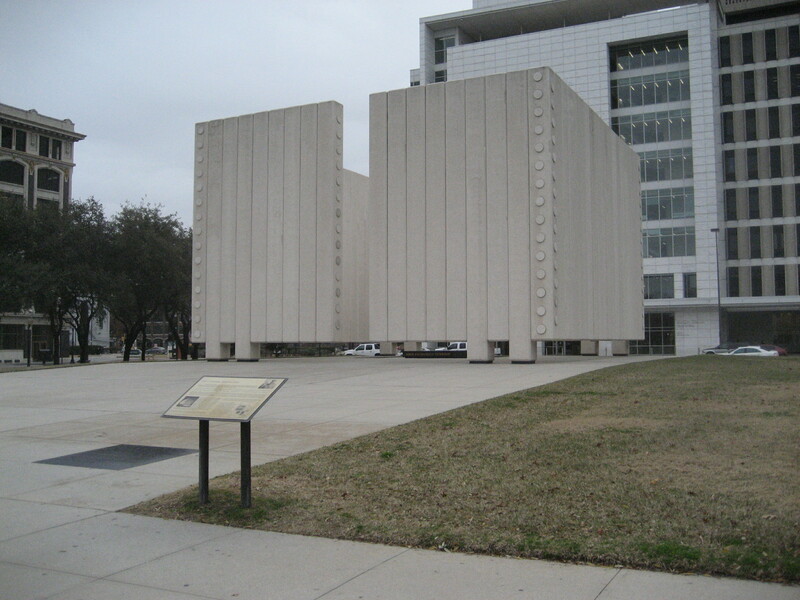 While in Dallas, we visited another Kennedy-related location – John F. Kennedy Memorial Plaza, which is very close to Dealey Plaza. It’s hard to miss because it’s a large monument in the middle of downtown Dallas. Back to the Kennedy cenotaph, to be honest, it’s a little stark for my taste. However, I appreciate the design more after learning more it, which seems in keeping with the style of the period (the plaza was dedicated in June 1970). 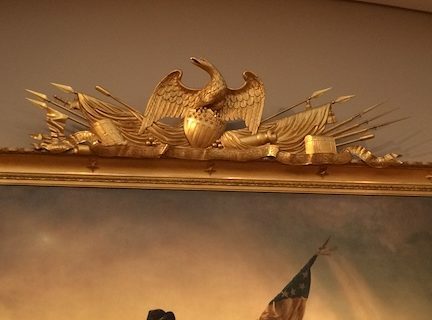 The sign at the memorial said Mrs. Kennedy chose Johnson for the memorial, and its “starkness” does have a quiet simplicity that reminds me of the eternal flame where President Kennedy is buried in Arlington National Cemetery. According to wikipedia, Mrs. Kennedy requested an eternal flame on the site and was involved with the planning. For the permanent gravesite, she chose Kennedy friend and architect John Carl Warnecke to design it. 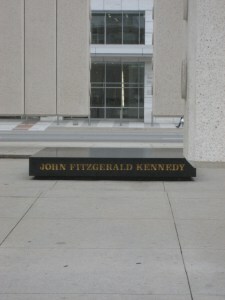 So the similar simple, artistic design for the Dallas memorial seems in keeping with Mrs. Kennedy’s taste. We didn’t stay long at the Dallas memorial because it was really, really cold and windy that day. (My family literally pulled up, and I hopped out of the car while they drove around the block). I think the memorial is more impressive at night when it’s lit up. If you have time, the memorial is very close to Dealey Plaza and worth a quick stop. It was an extra bit of learning on an already educational trip! I hope it’s warmer when you go.